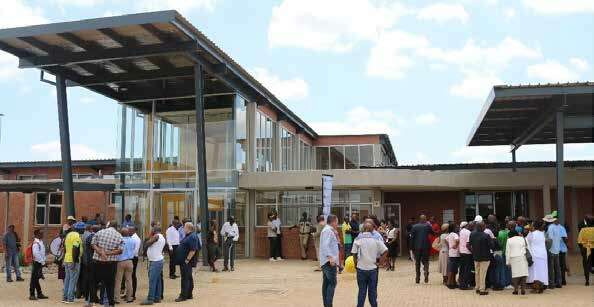 Residents of Hammanskraal in the north of Pretoria say the new state-of-the-art clinic that recently opened in their community will help to address their health challenges. Kekana Gardens Clinic was officially opened by Gauteng Premier David Makhura. The state-of-the-art health facility cost the provincial government about R7.2 million to build and its construction took just over two years. Mike Makhubela is one of the residents who attended the official opening. He was happy to have a clinic just a walking distance from his doorstep. “I am excited about this clinic. It is closer to our homes so we will not have to spend money to travel just to access health services anymore. 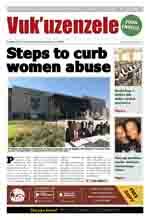 It is our responsibility as the community of Hammanskraal to protect it against vandalism,” he said. Another resident, Mpho Mokoena, pleaded with fellow community members to never think about vandalising the clinic even during service delivery protests. Speaking to community members during the opening ceremony, Premier Makhura said Kekana Gardens Clinic will go a long way in alleviating the plight of the people in the area. “For years, the community of Hammanskraal had to access health services from a small clinic and constantly complained that it was always congested because of long queues,” said the Premier. Amongst dignitaries who attended the opening ceremony was Gauteng Health MEC Gwen Ramokgopa, Education MEC Panyaza Lesufi and Infrastructure MEC Jacob Mamabolo. MEC Ramokgopa said the Department of Health will not only provide medication to residents when they need it but also offer world-class facilities. She added that the new clinic will use digital technology and will be energy efficient. George Moeketsi is the Senior Communication Officer of GCIS in the Gauteng Provincial Office.